Cassette To iPhone Converter…. What the Friday!? I’m starting a new section to my blog, introducing What The Friday?! Did you see what I did there? Well every Friday I will be posting a What The F… from the interwebs. With the release of the iPhone 5 today I thought I would dedicate the first ever What The Friday to one of the most innovative, yet totally useless peripherals for your phone. This is the device that converts audio tape cassettes into MP3 files and stores them directly onto an iPhone or iPod touch. 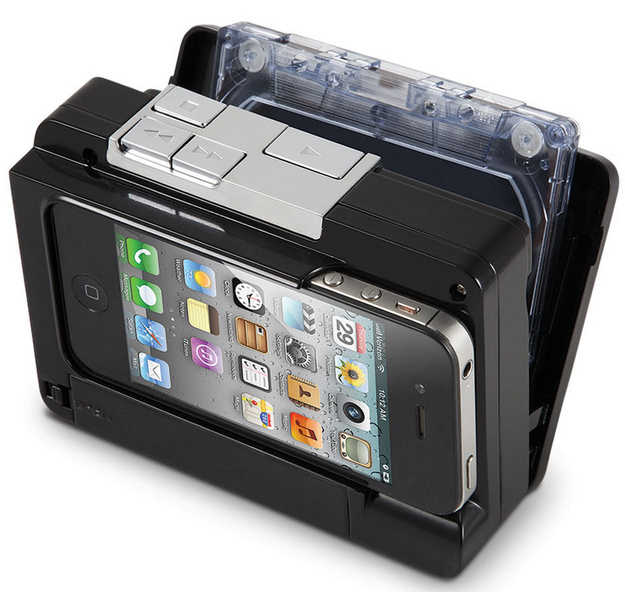 It accepts most iPhones and iPod touches, and normal or chrome cassette tapes. With its free app, conversion to MP3 is as simple as inserting a cassette, docking an iPhone or iPod touch, and pressing play.